One Shot Transforms Into a Bike In Seconds | OhGizmo! 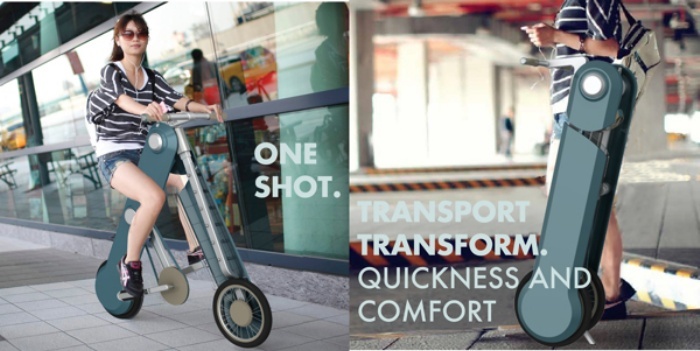 One Shot is the ultimate portable bike. It isn’t shaped like a typical bike, although it still rides like one. Obviously it’s not meant to be ridden on mountain trails either, judging by the size of the wheels on this thing. It is, first and foremost, a portable bike. 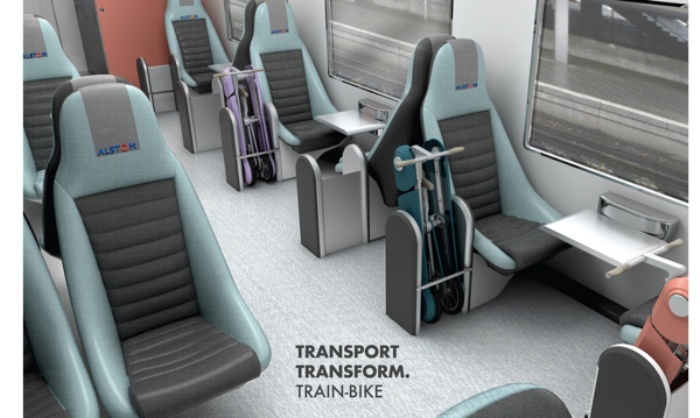 It was designed to be used with the rail transit in mind, as the sleek design allows it to be stowed in the train when commuting. Essentially, One Shot helps you get to the places where you need to be minus the emissions (if you were riding a car) and minus the sore legs (if you were walking or running the entire time.) It folds up easily into a trolley-type rolling case which you can lug around using the attached handle when you’ve reached the station or when you’re not using it for easy handling. One Shot is a design concept by which you can lug around using the attached handle. So when are they turning this into the real thing?